Protect sleeping children and entire families from the preventable disease of malaria. Every 60 seconds a child dies from malaria. Mosquito nets protect sleeping children and entire families from this preventable disease. 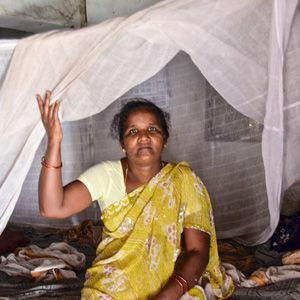 The nets are an inexpensive way to provide the best line of defense against malaria. But many Indian families that need them can’t afford a mosquito net. Your gift today will protect children and families from malaria and prevent them from getting sick.